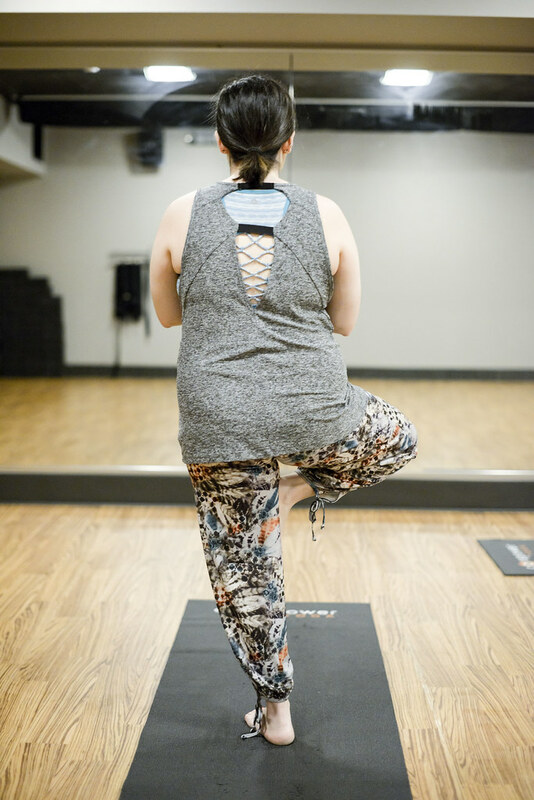 My favorite thing to do on the weekend is start the day with a little exercise! This can mean either taking my pup for a stroll, exercising with a 21 day fix video, or doing some yoga. 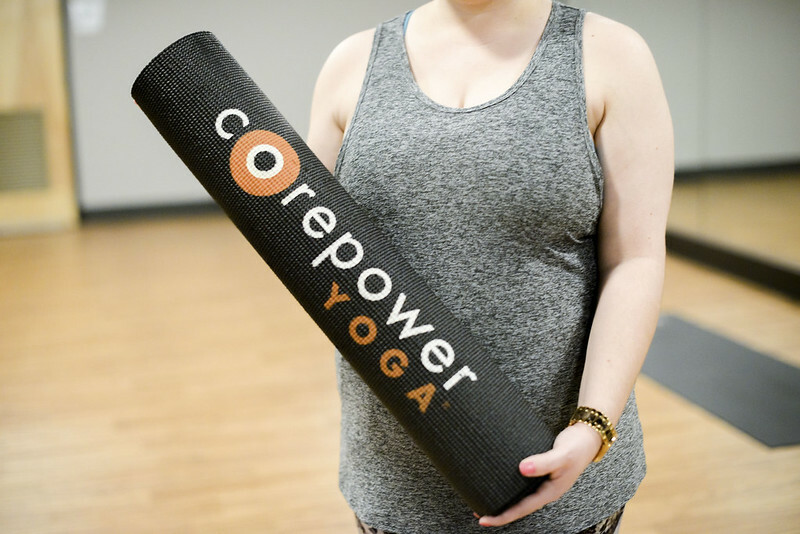 Corepower Yoga in Cameron Village has a variety of different classes available (I last mentioned them here), which is perfect if you want to start your Saturday with some exercise. 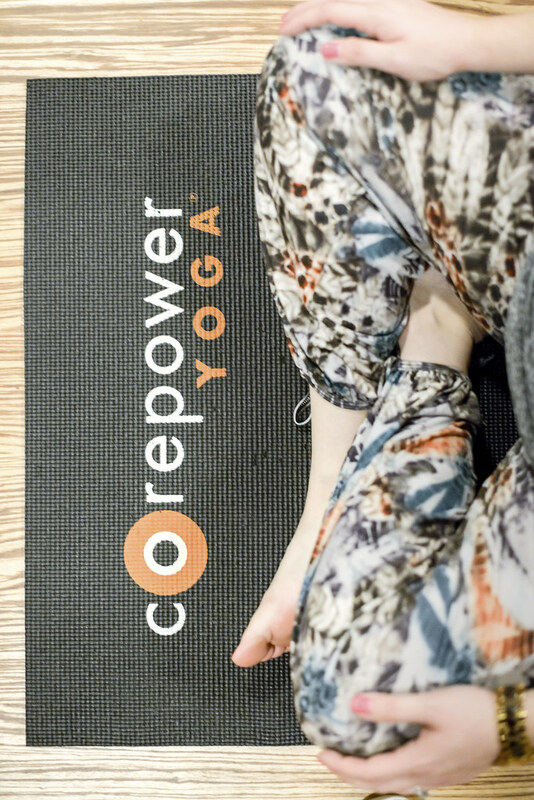 You also have to have the perfect workout outfit for the weekend and I picked up these fun pants and tank from Corepower Yoga a couple of weeks ago! 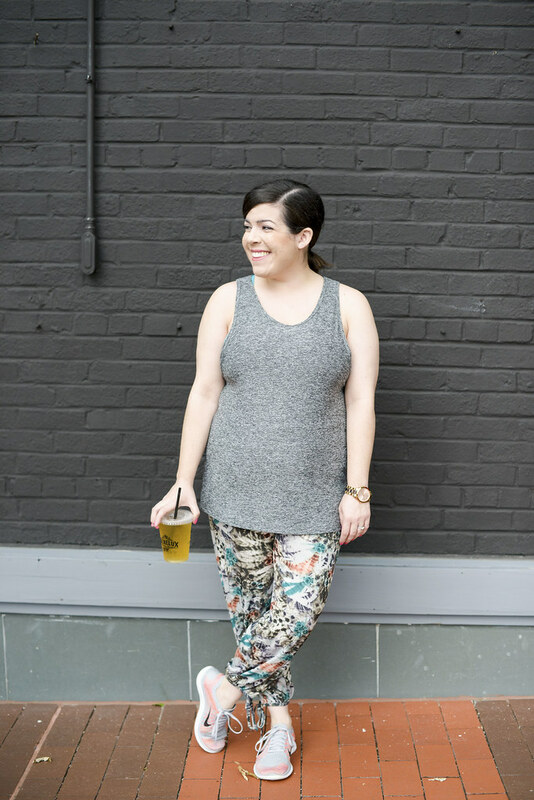 I just love the print on these pants and the detailing on the back of this tank. 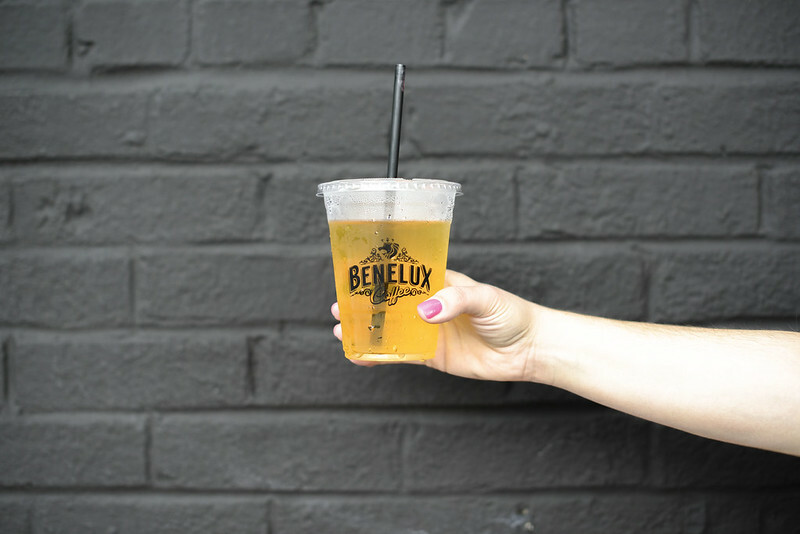 After I start my day with a little exercise I like to stop by Benelux Coffee for a refreshing drink. 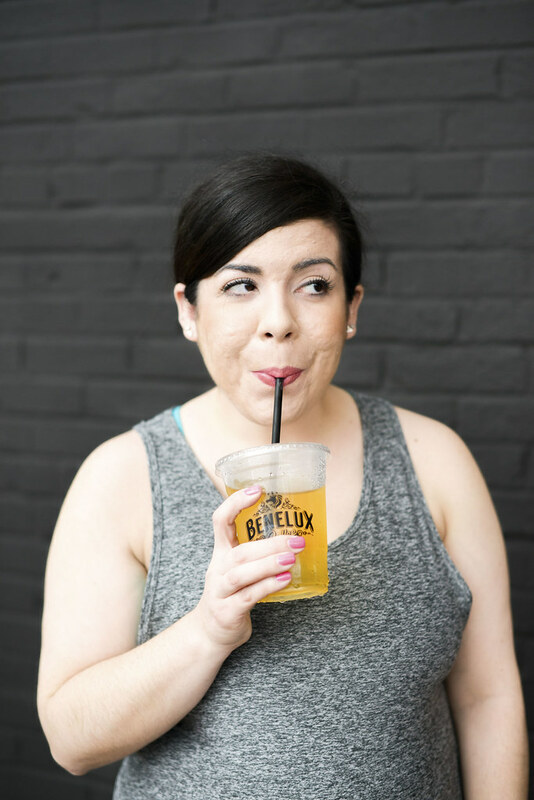 They have the best iced green tea which is perfect for a summer day! Thanks to Cameron Village Shopping Center to sponsoring this post. All thoughts and opinions are my own. 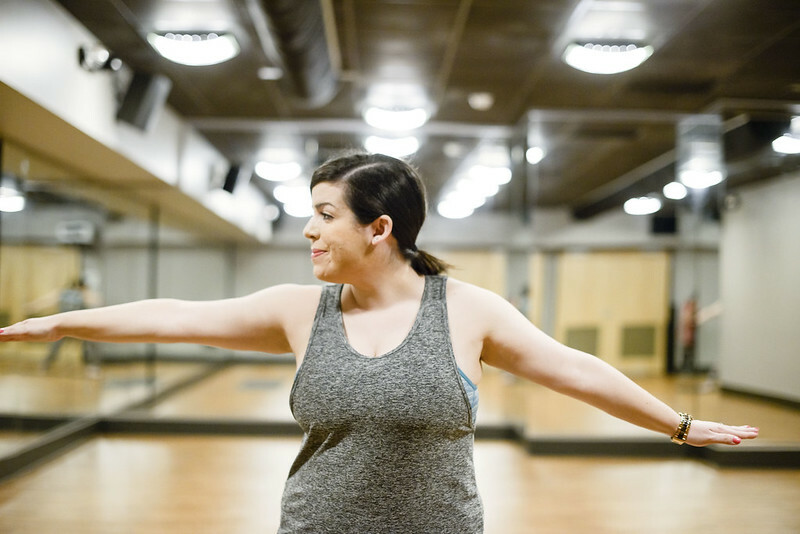 My exercise resolve totally dies on the weekends, lol- I wish I had your drive! 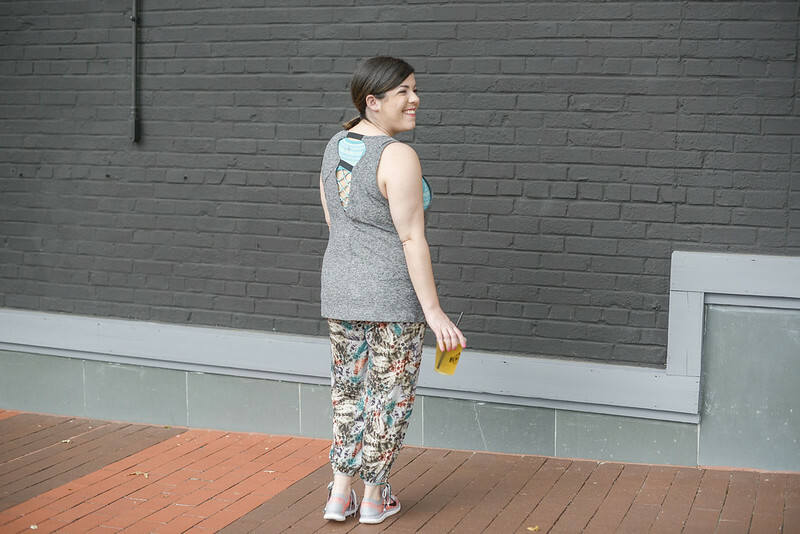 Super cute workout look, lady!